A few weeks after every big monthly job report comes out, more detailed information is released showing a breakdown of the payroll gains and losses in each state. The latest of these extended reports revealed that nonfarm employment increased in Florida (+25,200) and Idaho (+3,600) in February and was essentially unchanged everywhere else. 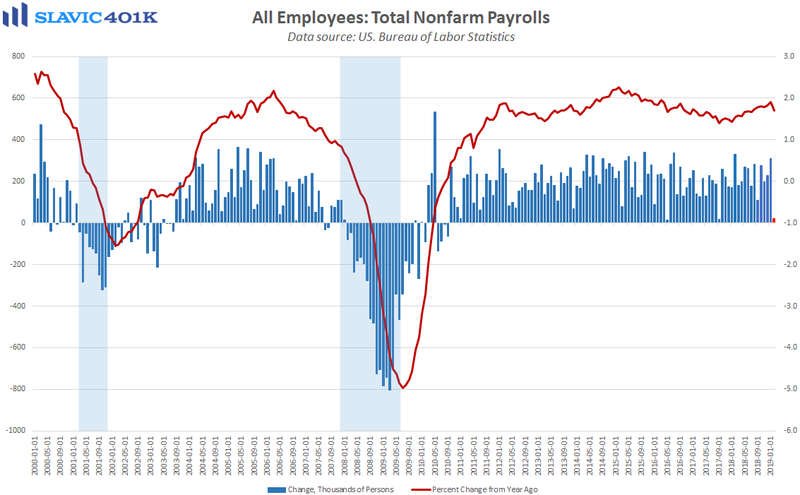 Just two states posting an employment gain last month is not too surprising since the national job report showed that only 20,000 net payrolls were added to the entire U.S. economy in February, the smallest increase since September 2017. 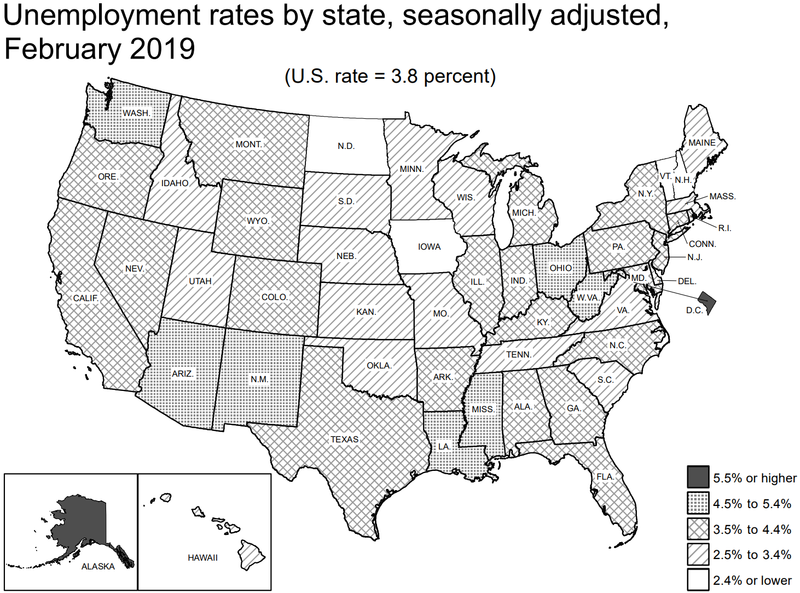 On a year-over-year basis, though, twenty-two states have still experienced a net gain in total employment, with the biggest increases in percentage terms found in Nevada (+3.5 percent), Utah (+2.9 percent), and Arizona (+2.7 percent). As for joblessness, the unemployment rate declined in four states in February and was stable everywhere else. 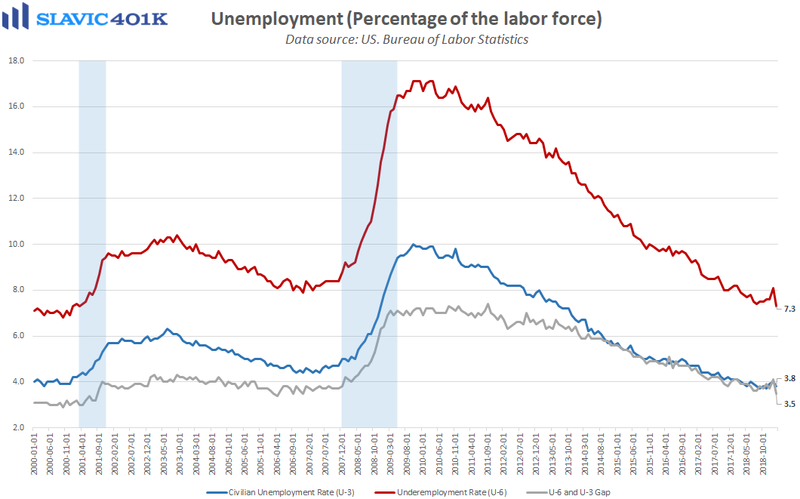 The rates of joblessness set record lows in Alabama (3.7 percent), North Dakota (2.4 percent), Tennessee (3.2 percent), and Vermont (2.4 percent) last month, and four states were tied for the lowest unemployment rate in the country (Iowa, New Hampshire, North Dakota, and Vermont, each at 2.4 percent). Only nine states in February had a rate of joblessness that was higher than the national level (3.8 percent). 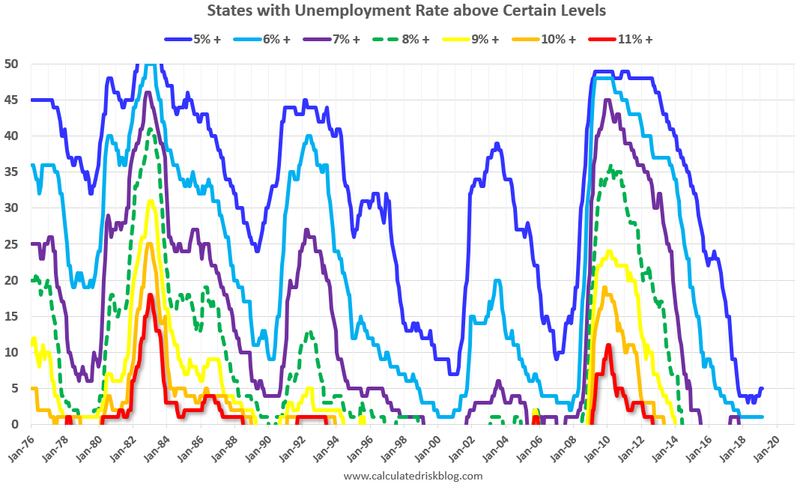 For an additional comparison, during the worst part of the “Great Recession” eleven states had an unemployment rate that exceeded 11 percent, while the highest rate of joblessness last month was just 6.5 percent (Alaska).